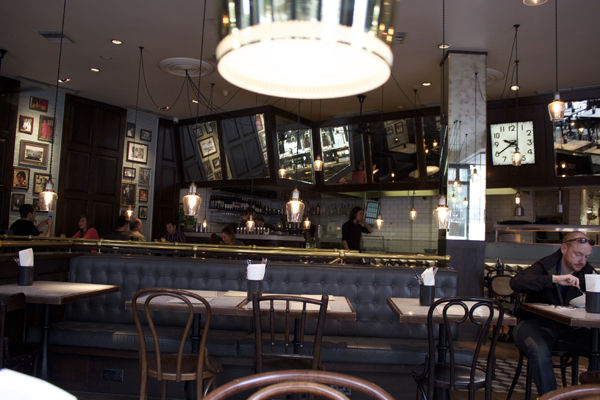 From the moment you walk into the doors, you be amazed by the deco design of Dishoom. 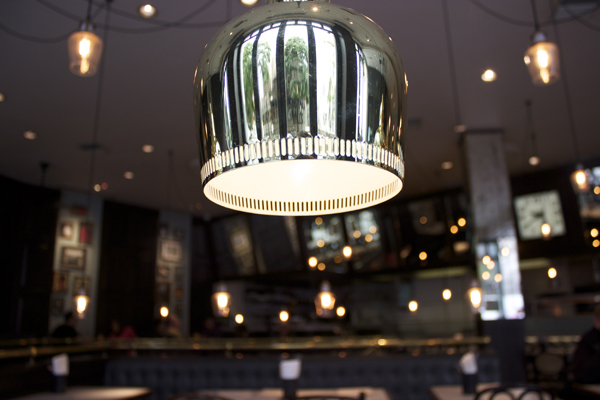 A large wall clock as the centrepiece of the tremendous size open kitchen, steel metal poles with hanging lamps marbled top tables. My cousins from Australia came to visit and wanted to start the day with breakfast. 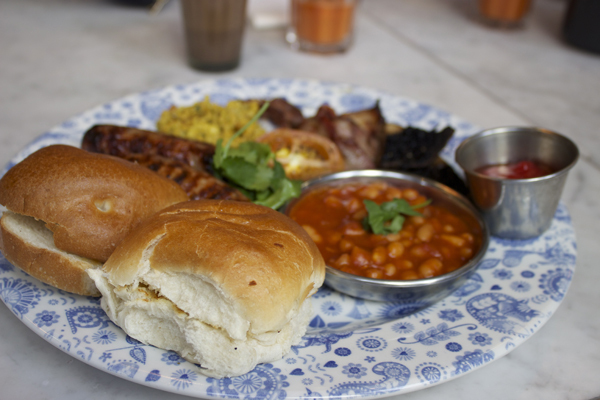 I crawled out bed to make it for 9:30am, whilst waiting for the others I glanced over the menu, ok I actually study it prior visiting as Dishoom was on my hit list for a while. 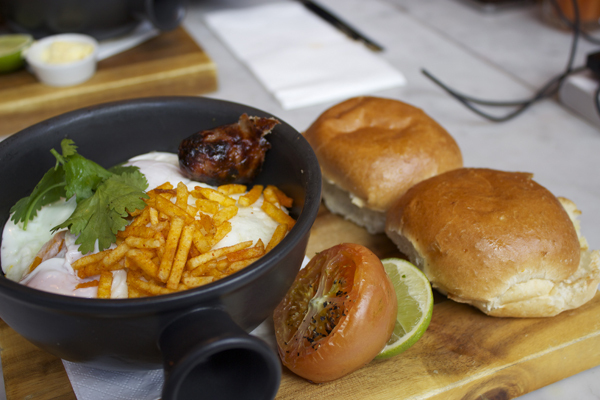 This isn’t your typical English breakfast; I was going to have mine Bombay style. 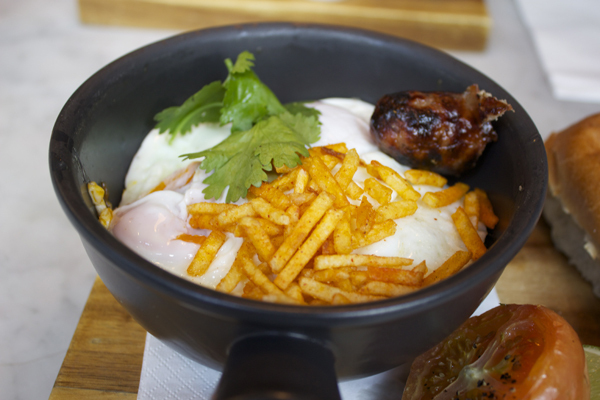 Similar to other Southeast Asia cuisines there’s lassi’s and spice chai appears on the menu. 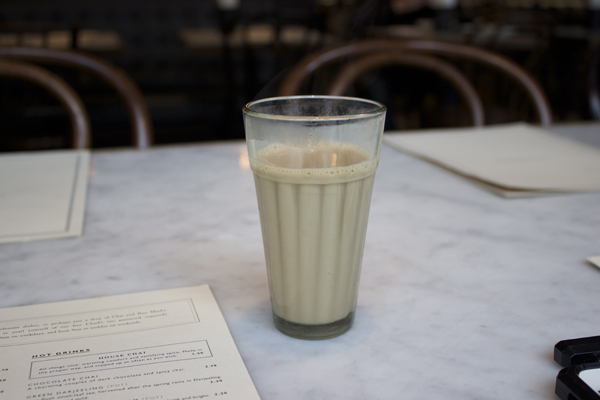 I’m a huge fan of Chai teas and at Dishoom it’s refillable. A tiny cup presented to me. It warmed me up from within the summer cold morning, texture almost similar to The Terik silky smooth and creamy with that cinnamon kick. Once the others arrived I had serious hard time deciding on what to eat, my heart was set for Kerjriwal, but somehow I swayed towards Keema Per Eedu. Arriving in a mini looking clay frying pan, the white blanket of egg covered the diameter of the pan. Still jiggling around with no signs of oil, on top of it, paper-thin matchstick chips stacked nicely on top. Hidden beneath it all mushed chicken liver, the eggs were cooked to perfection, no horrible crispy edges with runny egg yolks. Chicken liver was soaked with flavour, without any spice overkill. 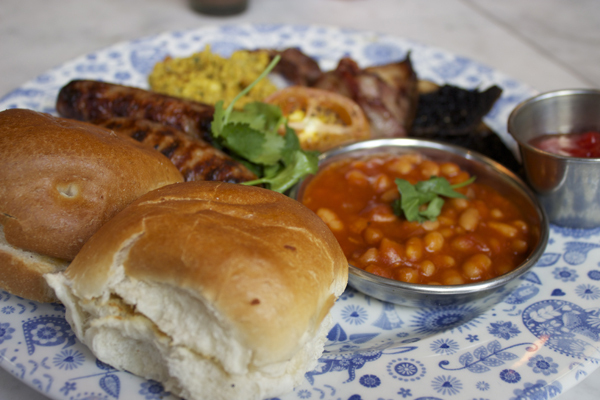 My cousin had “The Big Bombay” and he loved it streaky bacon from The Ginger Pig, pork sausages, masala bake beans, grilled tomatoes, it was enough to fulfil any hungry man. Overall the group enjoyed their breakfast with a twist. 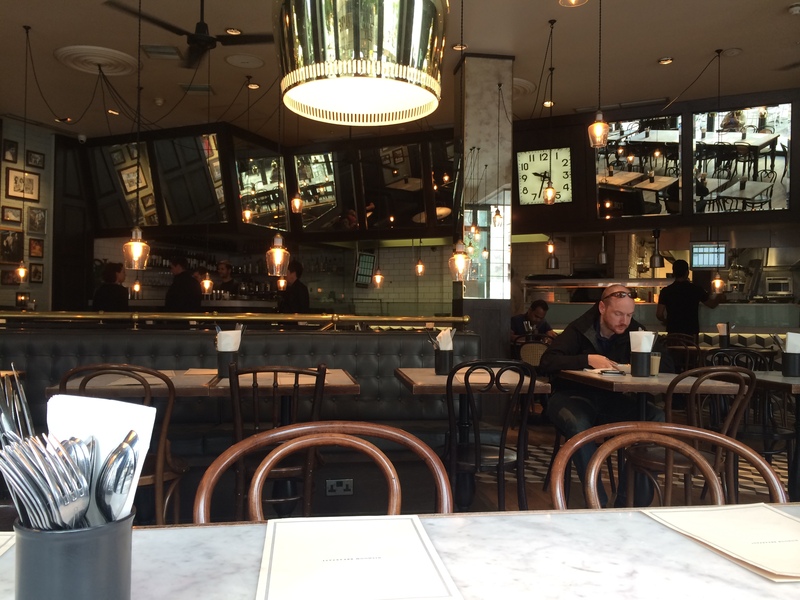 Dishoom is a great place for any time of the day I want to explore the rest of their menu. It’s gorgeous, did you had brunch?